It’s Survivor members, Frankie Sullivan (guitars, vocals) and Robin McAuley (lead vocals), that keep the signature Survivor sound that the world fell in love with, alive and touring! 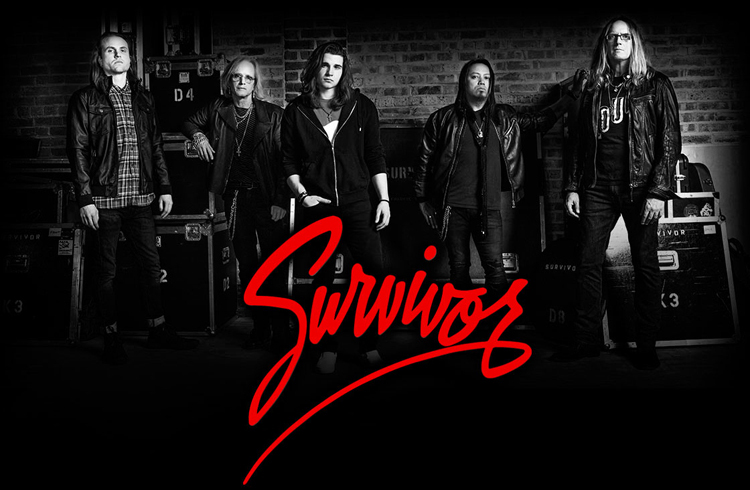 Survivor was formed in the cold Chicago winter of 1977 by Frankie Sullivan and Jim Peterik. 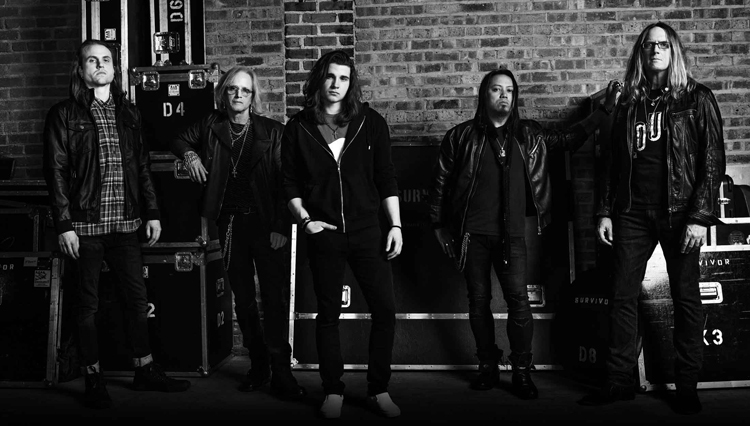 By the end of 1978, Survivor was signed to a record deal with Scotti Bros. Records. Under patronage of John Kalodner, then head of A&R for Atlantic Records, Survivor went into the studio to cut their first self-titled album. This record, released in 1980 with the single “Somewhere in America,” did moderately well and started to build a loyal base of fans. After touring for 8 months, the band went back into the studio. 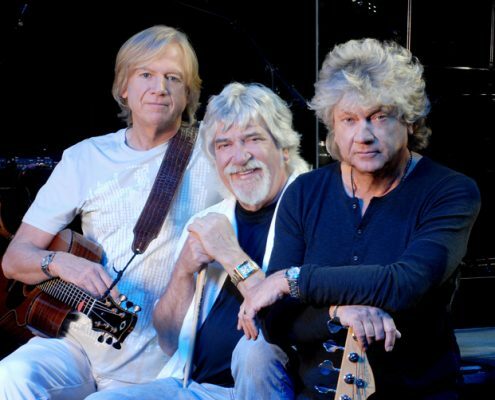 The result of those sessions, PREMONITION, is considered by many fans to be their favorite Survivor record. The album was released in 1981 with the singles, “Poor Man’s Son” and “Summer Nights.” This record improved on the first album’s success, although still not the big breakout the band was looking for – that was to come with the 1982 release of EYE OF THE TIGER. The title song for this record was expressly written for “Rocky III,” which brought the band national attention. “Eye of The Tiger” spent seven weeks at the #1 spot on the U.S. charts. The song won a Grammy®, an Oscar® nomination and was voted “Best New Song” by the Peoples Choice Awards. Immediately following the record, the band toured extensively performing in sheds and stadiums. 1983 found Survivor back in the studio at work on CAUGHT IN THE GAME, which received critical acclaim and AOR airplay. It was after this that Dave Bickler, vocalist since 1978, decided to leave the band and was replaced by Jimi Jamison in 1984. 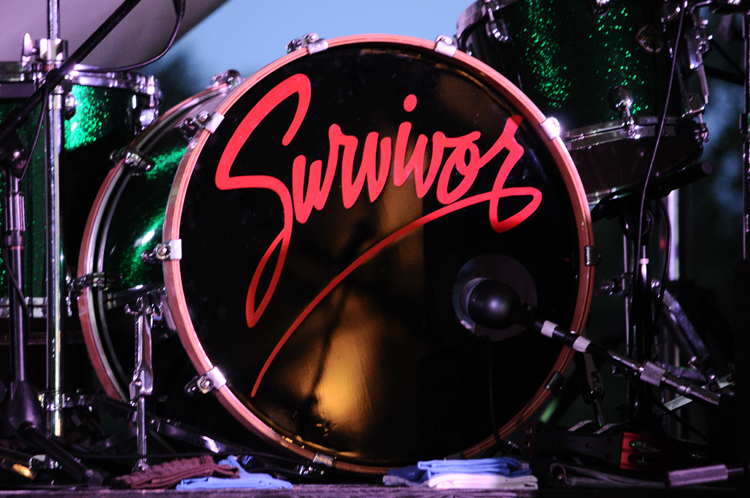 Survivor’s next album, VITAL SIGNS was released and achieved multi-Platinum status with a string of hit singles that kept Survivor on the charts for over 40 weeks in ‘84 and ’85. 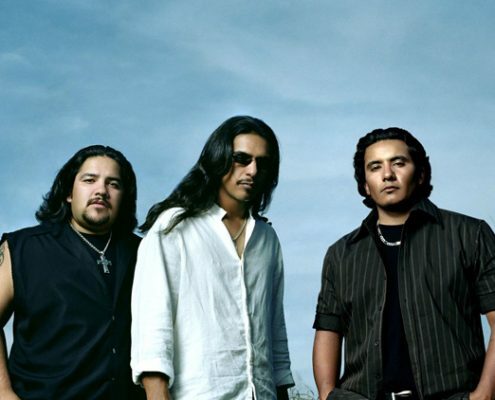 It was their established AOR airplay and Billboard Top 20 hits–I Can’t Hold Back,” “High on You” and “The Search is Over,” which reached #2 on the Hot 100–that kept Survivor at the top of the record and concert business. 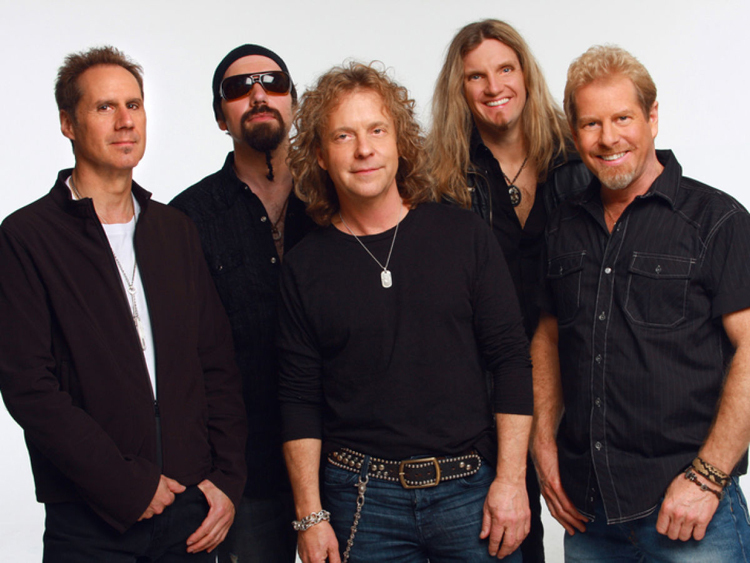 While the band continued to tour worldwide, they managed to take time out to record “Burning Heart”, the title track for “Rocky IV.” The song went all the way to #2 on the Billboard Hot 100 charts, propelling the soundtrack album to multi-Platinum status. It was 1987 before Survivor had time to stop and make another record, WHEN SECONDS COUNT contained yet another Top Ten single, “Is This Love,” which stayed in the Top 10 for several weeks. Since the split of McAuley Schenker Group in the early 90’s, Robin had been keeping busy: he re-recorded “Free Ride” with Edgar Winter, which ran as a jingle for Buick Cars nationwide for almost two years straight; he performed on several tribute records for such bands as Kiss, AC/DC, Pink Floyd, The Faces, Aerosmith, Iron Maiden, Bruce Springsteen and Garth Brooks; he recorded the song “Teach Me How To Dream,” which was produced and written by David Foster, for the movie “If Looks Could Kill”; and he made a solo album, BUSINESS AS USUAL, which was co-written with Survivor guitarist Frankie Sullivan. “So we embark on a totally new Survivor,” says an ecstatic Sullivan. “One that for the first time in many years is based on music and performing. Robin loves the fans and is no doubt one of the best front men I have ever known! I guess it’s the luck of two Irishmen, McAuley/Sullivan finally taking its place in time and where it belongs, making music and making fans happy!” After several greatest hits packages have been released worldwide, there is now a great Survivor record currently in the making! 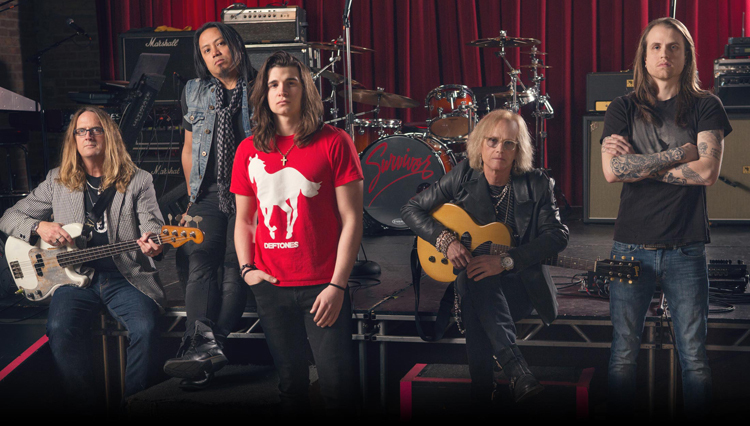 Hot off the presses…former McAuley Schenker Group (MSG) frontman Robin McAuley has replaced Jim Jamison as the new lead vocalist for Survivor. 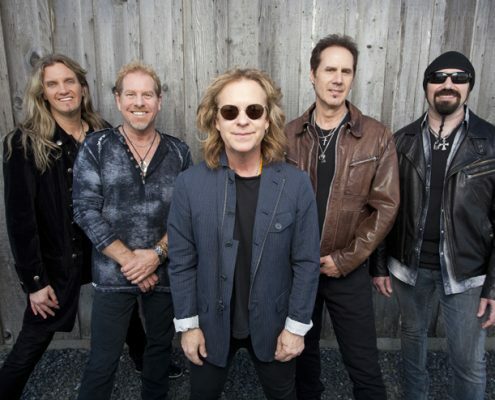 Jamison first joined the band in 1984 after original lead singer Dave Bickler encountered voice problems before a tour supporting the band’s CAUGHT IN THE GAME album. 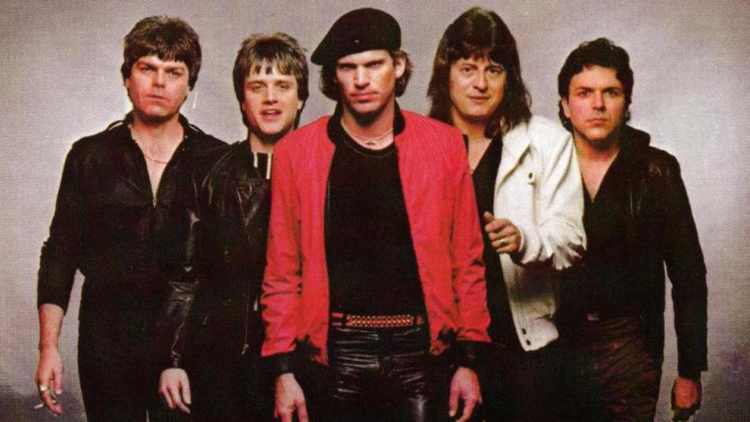 Bickler was a part of the group for their first four albums, SURVIVOR, PREMONITION, EYE OF THE TIGER and CAUGHT IN THE GAME. 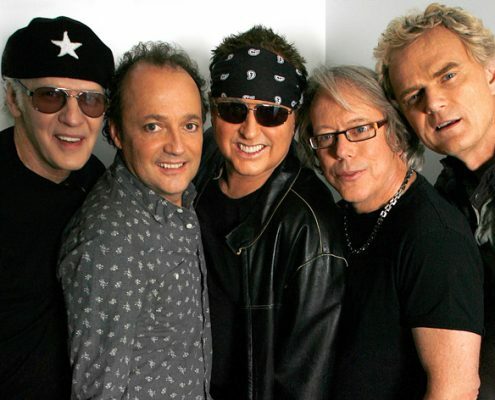 Survivor experienced their big breakthrough in 1982, when they were asked by Sylvester Stallone to provide the theme song for his movie “Rocky III.” Enter “Eye of the Tiger,” which soon turned into one of the biggest hits of the band’s career. It had an enormous impact on the Billboard charts, soaring to #1 for seven weeks. The song won the band a Grammy® Award for “Best Rock Performance By A Duo Or Group With Vocal,” was voted “Best New Song” by the People’s Choice Awards and received an Academy® Award nomination. Thanks to the song’s success and another Top 20 single, “American Heartbeat,” the album EYE OF THE TIGER stormed to #2 on Billboard’s “Top 200 Albums” chart. The song remains a cultural phenomenon. It came in at #18 on the “Top 100 Singles” chart in Billboard‘s 100th Anniversary issue and it’s well over the 300,000 mark on iTunes, where it’s currently holding strong at #9 on their “Top Soundtrack” chart. The band’s first album with Jamison, VITAL SIGNS, was another huge success for the band, peaking at #16 on Billboard‘s “Top 200 Albums” chart thanks to the hits “I Can’t Hold Back” (which hit #13 on Billboard’s “Hot 100 Singles” chart), “High On You” (#8) and “The Search Is Over” (#4). 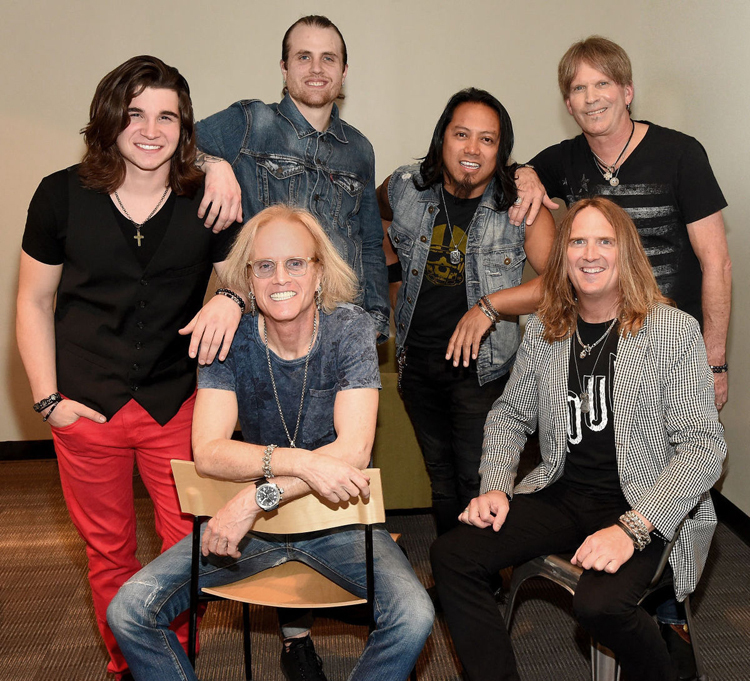 The record made Jamison an instant favorite and the writing team of Jim Peterik/Frankie Sullivan were solidly footed into the business of writing hits. VITAL SIGNS is still praised by fans and critics alike as one of the best AOR albums of all time. 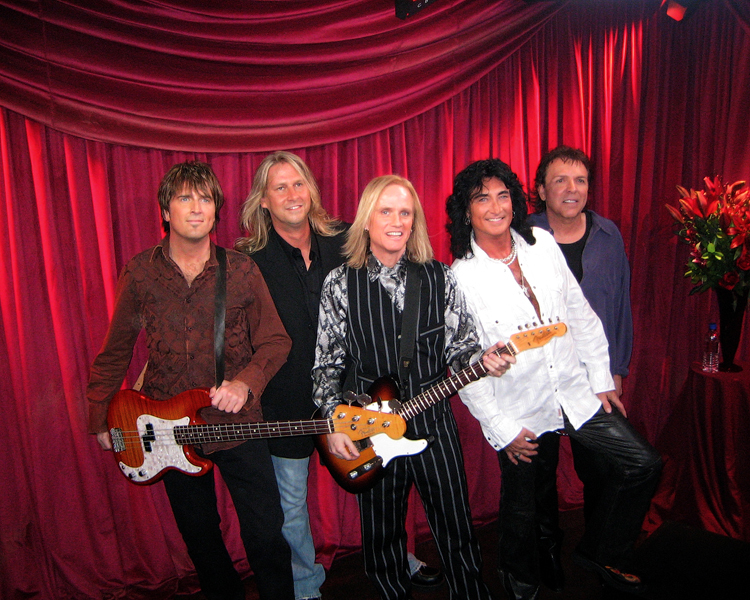 Between 1993-1996 the band re-teamed with Bickler after Jamison left the band to pursue a solo career. Fast forward to 2000, when Bickler left the group once again and ultimately resulted in Sullivan re-establishing a partnership with Jamison to head up Survivor once more. 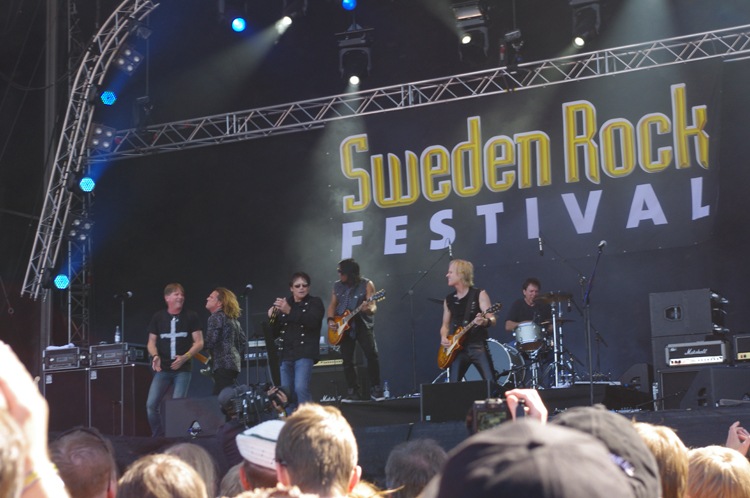 The band continued to retain their popularity, playing concerts in North America, Europe, and Asia year after year. The new and current line-up—Robin McAuley (vocals), Frankie Sullivan (guitar), Marc Droubay (drums), Chris Grove (guitar/keyboards) and Billy Ozzello (bass)—are hard at work on a new studio album which they hope to release in 2007.